Happy Fall Equinox – Time to Detox for Fertility! First off Happy Fall Equinox! Summer is officially over in our part of the world. And with the turning of the leaves our attention turns towards the serious business of our lives – school, work, figuring out finances and the like. It’s a natural point of transition marked by the change of sunlight. As our days become shorter and our nights grow longer, darkness overpowers the light. Our inner world follows nature’s descent into Winter. From a fertility point of view, pre-menstruation is a similar point of transition from light to darkness. As estrogen drops and progesterone rises, we go from the bright, outward summer-like full moon energy of ovulation inward to the darker, slower, more serious, waning moon fall-like energy of pre-menstruation. Summer turns into Fall. The full moon wanes. 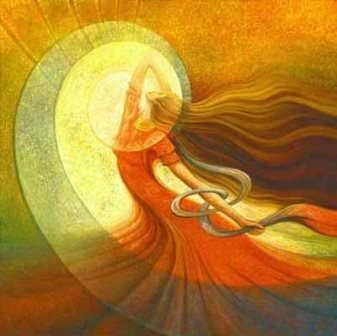 A woman’s energy turns inward. What was hidden below the surface suddenly comes into awareness. Do you notice during your own ‘2-week wait’ before your period, all your fears and insecurities bubble up to the surface? With PMS looming all your positivity fades and worrying takes over. You start to question everything. That’s because pre-menstruation, like Fall is a time to take stock. It’s time to look at what’s important and essential, and eliminate what’s not. Habitual thoughts, beliefs, relationships and especially behaviours that were fun or served a purpose in the past, need to be reviewed and revised. But when emotions are running high it’s easy to lose focus and fall into the drama of negativity. Which is why it’s important to detox. To look at what’s not working, let it go and make a healthier choice. Whether that’s letting go of a habitual thought like ‘maybe I’m just not meant to be a mother’ to binge eating carbs when you’re ‘PMS’ing’. Here’s your opportunity to make a different choice. To empower yourself to make a healthy change. Take a step on the First Day of Fall and join us tomorrow for our Fall Detox for Fertility free training. Myself and Dr. Sara Celik will be sharing our best tips on fertility cleansing mind, body and spirit. So instead of falling back into poor habits of thinking or eating come get the tools you need to nourish yourself and your fertility. Meet my friend Dr. Sara Celik, Naturopath and Master Homeopath. I met Sara over 5 years ago over a chai and chat, and now Dr. Sara is part of a team of doctors and professionals at Elements Wellness + Medispa in Toronto and regularly appears on major Canadian media networks like CTV & Global News. She is also one of the leading detox experts in Canada. 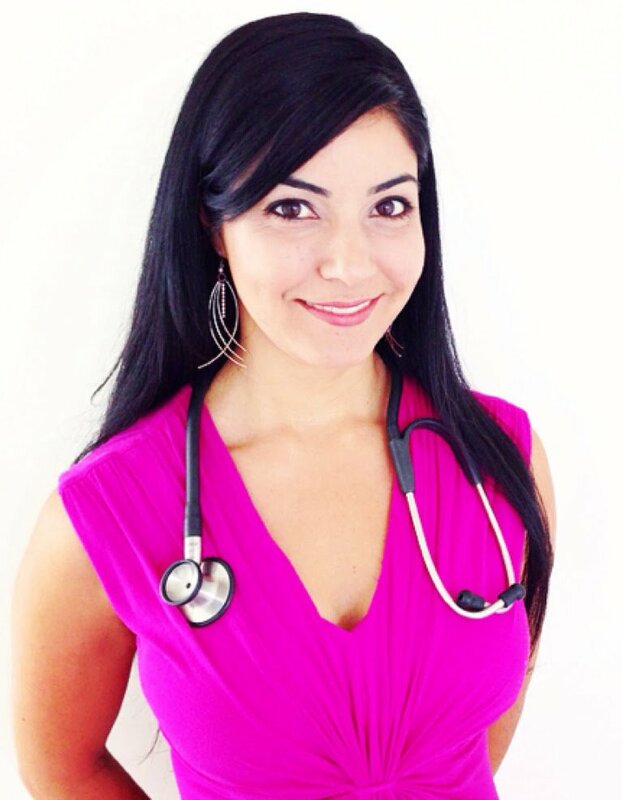 Dr. Sara has literally helped hundreds of women with hormonal imbalance through her naturopathic work. When I heard how effective detox is for improving fertility, I asked her if she would offer a free training for my Yoga Goddess community and I’m so excited to report she said Yes! On Wednesday September 24th at 6:00pm EST (3pm PST), Dr. Sara and I will be combining our passion and expertise in a free training to help you detox and improve your fertility. The #1 fastest way to detox your body from harmful hormone disruptors that can interfere with ovulation & implantation (especially excess estrogen). The top 10 foods & body care products you need to ditch and what to replace them with to get your hormones back in balance. (This is probably not what you would expect). How yoga, meditation and detox work with your mind & body to reduce stress and support fertility & pregnancy naturally. Plus you’ll receive a special Yoga Goddess visualization To Soften Out Of Stress just for registering for the webinar! To learn more about what we’ll be covering and to reserve your spot on this content-rich, FREE TRAINING, please click here. We are so excited to share our combined passion and expertise to help you improve your fertility gently and naturally!